What happens when video gets democratized? Today, TV might be where people go to be entertained. But make no mistake about it: New entrants are building ever-larger audiences without being burdened by the cost structure of the traditional TV ecosystem, making them more nimble and a potential threat to some of the big media players. We’ve seen this movie before: In the newspaper and magazine industry, the wide availability of self-publishing tools like WordPress and Blogger allowed anyone to instantly create his or her own media empire. Suddenly digital publishers could reach huge audiences over the Internet, with very little cost involved. That’s allowed new media companies like Gawker Media, AOL(s AOL) and yes, even GigaOM! to go up against the old guard of print publishers, which has had a devastating effect on the industry. Unable to compete with the relevance and immediacy of online news and information, and burdened by an unsustainable cost structure, local newspapers and weekly news magazines have struggled to stay alive. So what happens when the video industry is democratized? It’s already happening, as the cost of high-quality video cameras, production and editing equipment has fallen dramatically. Furthermore, platforms like YouTube (s GOOG) are making it easier than ever for anyone to build an audience and monetize those videos. The key takeaway is that the video industry is ripe for disruption. New content creators, emboldened by cheap production and editing tools and the ease of reaching a huge number of people online, are emerging as real competition for the traditional TV marketplace. In my latest piece for GigaOM Pro, (subscription required) I explore who wins and who loses in this brave new world. Just as The New York Times and the Wall Street Journal have held fairly strong in the face of online competition, it’s unlikely that the big broadcasters will see audiences flee en masse. 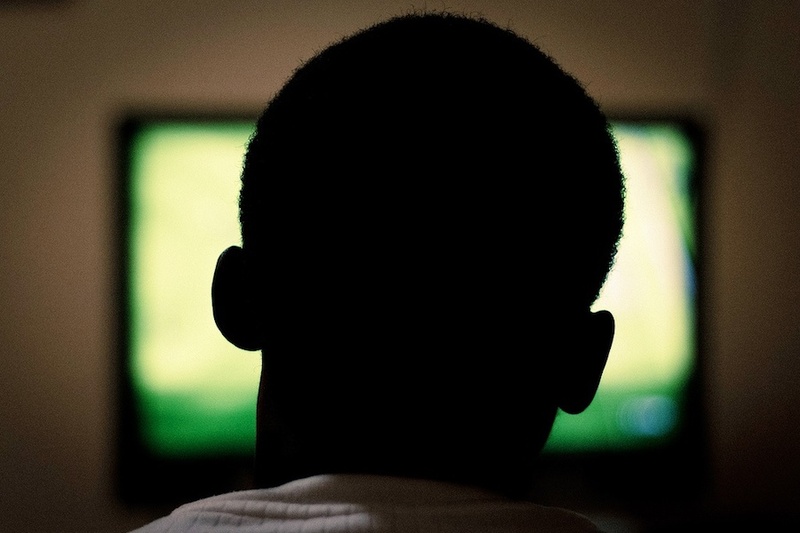 But smaller networks, especially those in niche categories like food or lifestyle, could see serious audience erosion as viewers find Internet-delivered video channels that are more relevant to them. A vegan cooking show, for instance, might not last long at a cable network, but it could be a goldmine online. For more on why I think so, check out the piece on GigaOM Pro: When video gets democratized, who wins and who loses? Photo courtesy of (CC BY-SA 2.0) Flickr user CrazySphinx. Credit main stream media for our decline in culture, failing education, predatory advertising, celebrity trivia, and toxic politics. There is the possibility that the internet, without to much interference, can become a much better alternative. For this to happen we need to continue to fight for net neutrality, acceptance of open formats like ogg or ogv. I would argue that most information now comes from video streams, but that only a small number of people are able to make competent video. So this is a new kind of illiteracy. I think the major players like it this way and work to see that it doesn’t change. Ugh. I really hate tease articles. Please properly label articles like this as advertising. This is a nightmare for career journalists. Remember that year you were really on? That season you had loads of extra energy, got everything right, and the emotion just dripped from your goose-pimply stories? Right – you’ll be competing with people who are hitting those highs EVERY DAY somewhere out there on this planet. Good for the planet, bad for my career. Yep. I’d go further and say that massive disruption is inevitable (see my comment on your 12/13 post for elaboration). The internet is forcing industry-wide business model reboots. In the short term, everyone invested in the status quo will get hurt and reject/deny/fight against it. Artists that adapt will thrive, as will high-end amateur content. In the long run, platforms that aggregate, curate, and promote will replace the content management businesses of today. There will be reverse migration too…for example, if the vegan show is a hit online…deep-pocketed media empires can make that host an offer they can’t refuse to join the cable tv line-up. In music Justin Bieber blew up on youtube but quickly signed on for traditional distribution to monetize his success and go to the next level. Same thing happens to successful self-published authors…snapped up by traditional publishers. I think online serves as an entry point to a media career where someone may stay there and do okay or move up to the next level after establishing their brand. I agree it will continue to grow and allow a lot more people to build solid careers even without major networks.